This edible treat is very low maintenance, easy to grow and high yielding (1 bulb can produce up to 1kg of food!). Grown in swamp conditions the nutritious underground corms have an appealing crisp but juicy sweet nut like texture and taste. They can be eaten raw (for safety wash well and peel first), or lightly cooked. They are unusual among vegetables for remaining crisp even after being cooked or canned. To store, keep refrigerated until eaten or replanted. Apart from the edible corms, the leaves can be used for cattlefeed, mulch or compost. An old bathtub, pot with no drainage, or shallow pond is perfect. 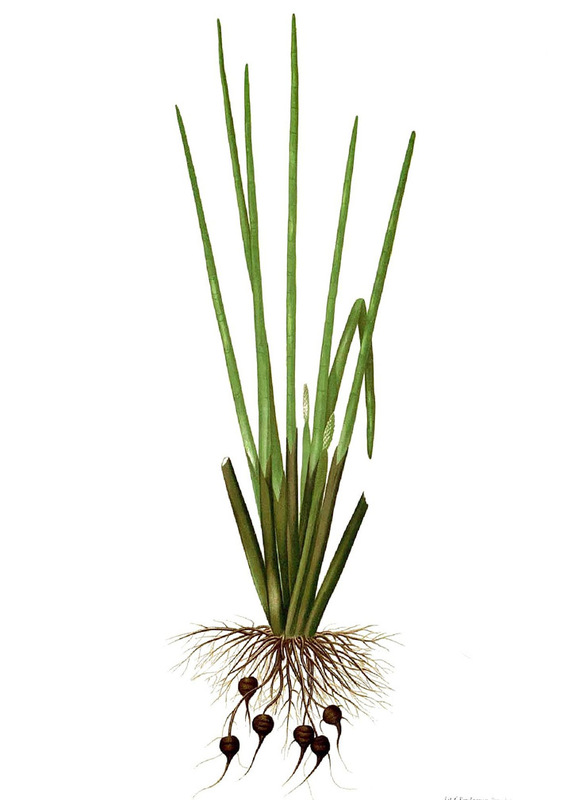 Plant in late autumn, spring, early summer, about 5cm deep in coarse soil, keep plants moist but not flooded until shoots are about 10cm tall, then fill the container until water is about 10cm deep. Keep flooded at this level and either harvest individuals when the green shoots die down, or drain the container in later autumn, wait a month for the shoots to die, then harvest all. You can tell they are ready once the corms are dark brown. They can be left in the ground longer and will get sweeter, but loose some shelf life. Protect from frost in the growing season. Commercially 2 corms per square metre are planted, but backyard growers can plant closer.